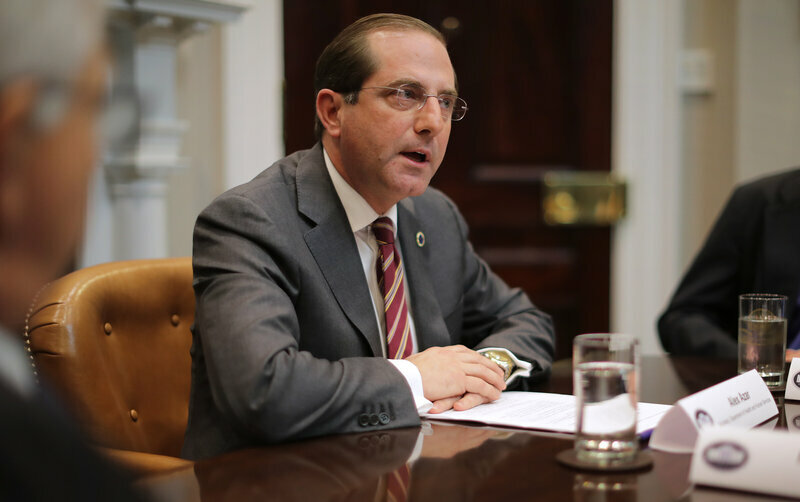 Health and Human Services Secretary Alex Azar delivers remarks to reporters while participating in a roundtable about health care prices at the White House on Jan. 23. The draft rule from the Department of Health and Human Services would encourage drug companies to offer discounts directly to consumers and would reduce the role ofmiddlemen that many policymakers say drive up list prices for medicines and increase consumers’ costs. “We’re going to fundamentally rewire how we pay for drugs in this system,” HHS Secretary Alex Azar said in a briefing with reporters on Friday. A portion of the rebates paid by drugmakers now goes to insurers or employers, and PBMs take a cut of the savings for themselves. The administration’s proposed rule would put pressure on the companies to pass those discounts to consumers. Express Scripts, the second-largest pharmacy benefit manager, warned that the changes could drive up premiums for Medicare’s prescription drug insurance plans. “Rebates have been a key driver in keeping premiums low for all Medicare beneficiaries, so any changes to the impact of rebates in the [Medicare Advantage] market will increase premiums, which will drive up costs for [the government] and the program as a whole,” the company said in a statement to NPR. The proposed rule would discourage those rebates for companies doing business with Medicare’s prescription drug benefit by redefining them as possible illegal kickbacks. “Today’s rebate system is set up in the shadows to serve entrenched interests: drug companies who set these prices so high and the pharmacy benefit managers who receive billions of dollars in rebates without patients ever knowing where the money goes,” said HHS’s Azar in prepared remarks on Friday. “This is a huge potential change, transformative,” said Dr. Walid Gellad, director of the Center for Pharmaceutical Policy and Prescribing at the University of Pittsburgh. Today, the actual cost of a prescription drug is often a percentage of the drug’s list price, so those initial high list prices end up driving up the price paid at the drugstore. In addition, many seniors on Medicare have to pay the full cost of some drugs. “We applaud the Administration for taking steps to reform the rebate system to lower patients’ out-of-pocket costs,” said Stephen Ubl, PhRMA’s president and CEO. But Dr. Aaron Kesselheim, a professor at Harvard Medical School who specializes in the economics of the pharmaceutical industry, said the move alone wouldn’t cut drug prices overall. 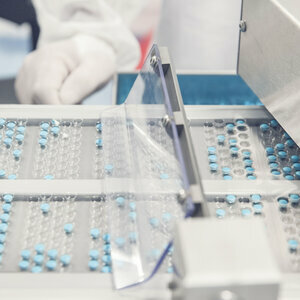 Azar says the change, if implemented, will encourage drug companies to cut their list prices to compete for business. But the administration also acknowledged that premiums for Medicare’s prescription drug coverage could rise by about $5 a month.